In the past few years there have been interesting developments in alternatives to grout and traditional joint fillers for flagstone and paver installations. Ecosystems Grout sells a Eurogrout product that claims to allow water to permeate through the surface of the material, making it great for permeable pavement installations where rainwater is captured below the pavement, rather than redirected into a traditional drainage system. 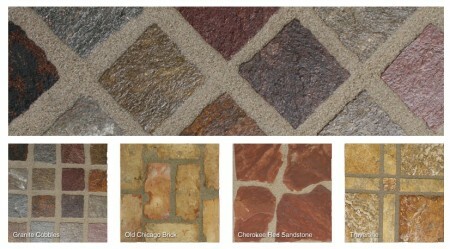 These grout alternatives can also give a low maintenance more rustic appearance to an installation than traditional grout.